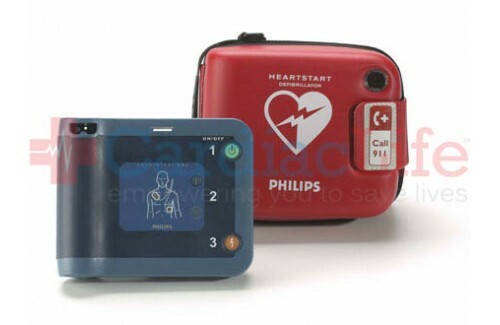 The Philips Heartstart FRx is currently not available until further notice. The Philips FRx Defibrillator is a great public access choice for schools with student-athletes, law enforcement, first responders, and more. 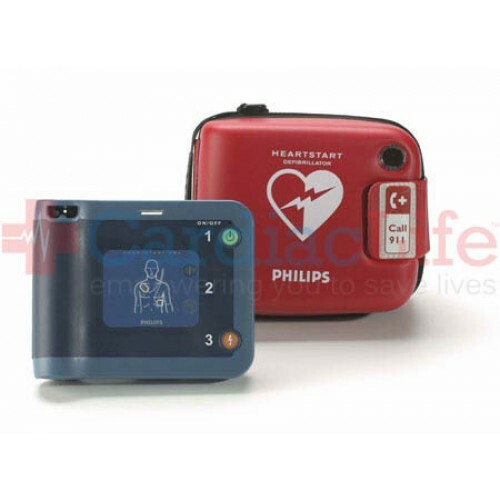 This AED is reliable and lightweight (3.5 pounds) making it a smart choice in case of a cardiac emergency. This AED comes with CPR Coaching to give simple step by step voice instructions to the rescuer while giving chest compressions. The adult pads and battery come pre-installed and the optional infant/child key allows the rescuer to adjust the AED when needed. 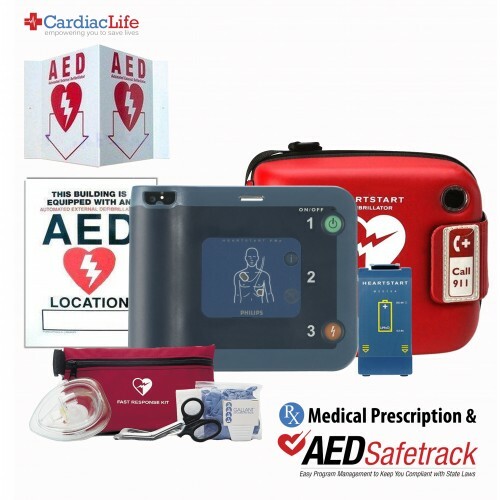 Use AEDSafetrack Program Management to document that your defibrillator is compliant with local and state laws. Rescue Ready Kit (Includes CPR Mask, Razor, Scissors, Gauze Pads, Latex Gloves) or upgrade to the Philips Response Kit to the right.